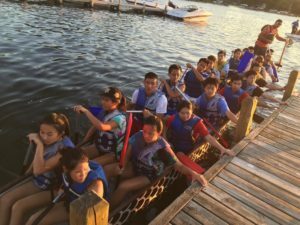 Youth Leadership Academy (YLA) is an organization of Milwaukee Chinese Community Center (MCCC), a non-profit organization that is based in Milwaukee, Wisconsin. 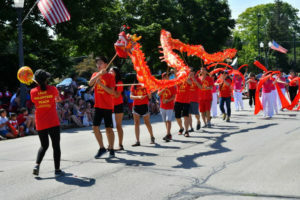 MCCC’s goals are to showcase and promote Chinese culture in the Greater Milwaukee area to help — together with local communities — build a diverse cultural environment in Greater Milwaukee and southeastern Wisconsin. 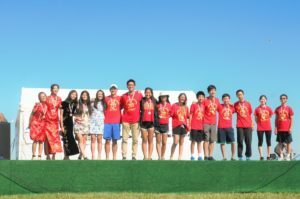 YLA provides a platform for the youth in the community to embrace their organizational and leadership skills, while broadcasting Chinese culture by organizing and volunteering at various community events and services such as Rock ‘N Sole, Dragon Boat Festival, Holiday Folk Fair, and China Lights, to name a few. YLA currently has eight teams under its wings with members from 6th grade to 12th grade. Parents, families, and volunteers from the community are of strong support to our members. Any questions, comments, updates about new/missing information, or suggestions may be submitted through the contact form. Thank you for visiting! The President and Vice-Presidents of YLA. Members organize media outreach and relations. Members procure and sell Chinese art. This booth participates in the Dragon Boat Festival, the Holiday Folk Fair, and Chinese New Year at the Domes. Members gather, organize, and present information on Chinese culture at the Holiday Folk Fair. During remaining events, members volunteer at other booths. Members contact restaurants, transport food, prepare food and sell Chinese foods at events. This booth participates in the Dragon Boat Festival, the Holiday Folk Fair, and Chinese New Year at the Domes. Members sell traditional Chinese toys such as the Chinese yo-yo and shuttlecock and set up children’s activities at events. This booth participates in the Dragon Boat Festival, the Holiday Folk Fair, and Chinese New Year at the Domes. Members write and publish articles for the Lantern magazine, and are also responsible for contacting sponsors. This booth does not participate in events, so members volunteer for other booths or work at set-up/registration.